Forensic science will have to determine the actual cause of death of the 19–year-old Dexter Openi-Pawa Netha whose badly decomposed remains was found in the shallow surf on the beach north of the Long Beach residential area a week after he mysteriously disappeared. The commander of the Namibian Police in the Erongo Region, Commissioner Andreas Nelumbo, confirmed that the badly decomposed remains that washed up on the beach is that of the young man that went missing a week ago. He said the body was discovered by a person walking along the beach at about 08:00 on Friday. The deceased person mysteriously disappeared from among thousands of other young people attending the Sound of Summer party at Long Beach near Swakopmund. “His remains were found about 1, 8 kilometres north of the spot where the Sound of Summer event was held on 28 December. At this stage is suspected that the victim drowned but a post examination will be conducted to determine the actual cause of death. The results of the examination will determine how the investigation into the matter will progress from this point onward,” Commissioner Nelumbo said. According to a member of the Emergency Services that attended the scene where the gruesome discovery was made, the lifeless body was still dressed in the white T-Shirt, dark blue denim trousers and black and white coloured sneakers Dexter was wearing the last time any person saw him alive. 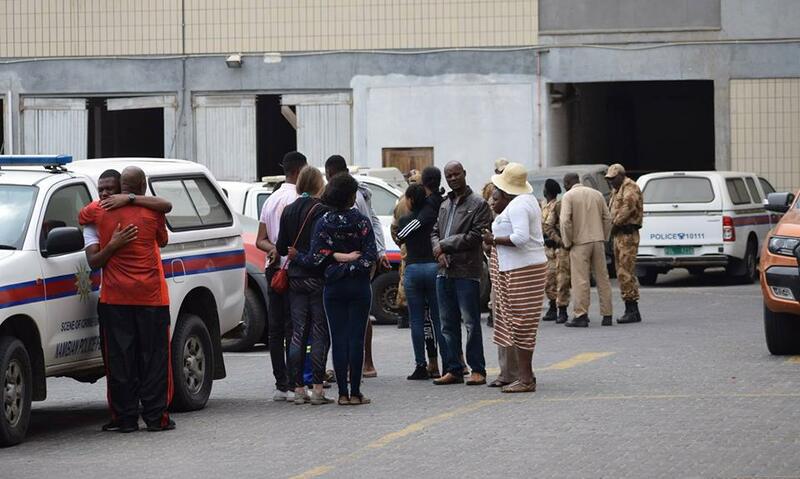 Friends and family of Dexter gathered at the Walvis Bay police Station shortly after Dexter’s remains were brought there. 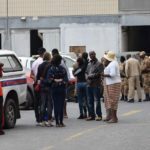 A positive identification was made and a small group of family and friends comforted each other in the court yard outside the mortuary as their worst fears were confirmed.